What's your favorite quote? Whether you think you can or can't; YOU'RE RIGHT. What do you like to do in your free time? Play golf, hang out with the family, relax In a sentence, why do you enjoy working at your company? Feeling of knowing that anyone at any level in the organization may directly need my assistance to get something done In a sentence, how does your company have fun on a regular basis? Company lunches, Department dinners, KY Derby contest, SuperBowl party In a sentence, how would you describe the employees at your company? 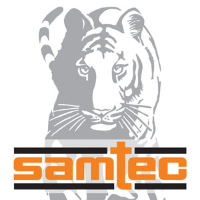 Relaxed, diverse group of people with a loyalty and passion for Samtec.